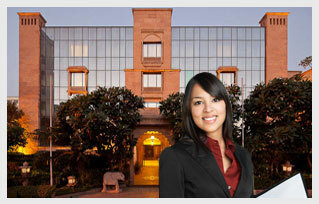 The Mansingh Group is always on the lookout for competent staff. It is our constant effort to train and retain the right talent. We encourage our employees to realize their true talent and potential as we help them grow with us. We have a team of experienced workforce who is eager to impart on-site training to the fresh staff. We are constantly in need of fresh talent with creative ideas and high levels of enthusiasm. Any individual with the right ability who wishes to work in the hospitality industry, is open to new ideas, is willing to learn and shares our level of dedication will always receive a warm welcome from Mansingh Group. We continue to induce capable employees in all departments of our hotels like Front desk, Kitchen, Food & Beverages, Housekeeping, Accounts and other backend operations. The ideal candidate must have a qualification in Hotel Management Industry, good communication skills, knowledge of languages like English, Hindi and the local area dialect.